Feyenoord are continuing their impressive form in the league after securing a fourth consecutive victory at the start of the season. However, this victory was made possible because of striker Dirk Kuyt, who defied his age with a brilliant brace against Excelsior. Feyenoord have been one of the surprise packages of the Dutch Eredivisie 2016-17 season. They were expected to be in the mix to the Champions League qualification outfits, but they have stormed to the top of the table after a sensational start. However, the team looked like being in danger of suffering the first defeat of the season as they were trailing 1-0 after just 26 minutes. Kuyt, who recently watched his team come up against Manchester United and Fenerbahce in the Champions League draw, was in inspired form and he came up with the equaliser just one minute before half-time. This proved to be the crucial element in the game asExcelsior fell like a pack of cards following this goal.Kuyt’s second goal of the game came just before the hour and this put Feyenoord in the lead.Excelsior’s confidence seemed to hit a rock bottom after watching the striker scored the goal. They conceded two more goals in the next five minutes to lose the game in a poor fashion. It is not often that influences of certain decisions are talked about. However, Fenerbahce recently thanked Dirk Kuyt for acting as assist to Gregory van der Wiel. It was definitely an unorthodox step taken by him as he commemorated Dirk for the role he played in helping the team to get Gregory van der Wiel, a fellow Dutchman, onto the club. Van der Wiel has revealed he to be a Fener player this Monday and that has happened only after Kuyt helped to convince him of the move. Kuyt played for the Turkish club for three years. Fener issued a statement officially on the club website thanking Kuyt for the role he has played in getting this deal finalized. There are many footballers who are inspiration to several others, especially the uprising star players of today. 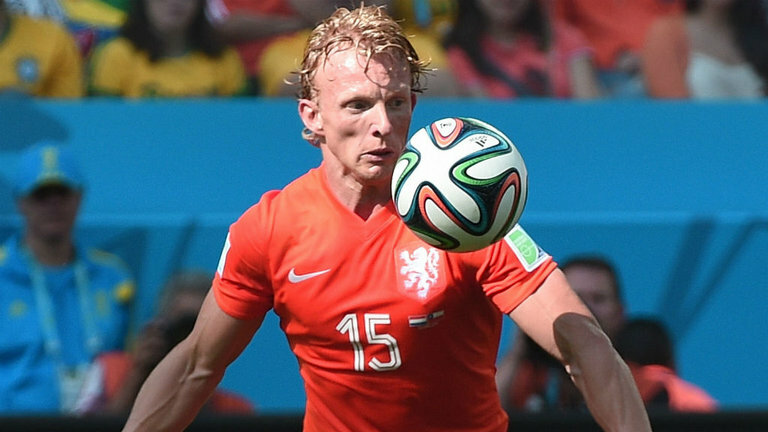 Yordi Teijsse is one such example who is following in the footsteps of Dirk Kuyt. New Dundee would be signing him on. Being a follower of the Holland based footballer, he is also willing to go over the North Sea and be a professional player in British football. Yord is 23 years of age and has recently signed up with Dens Park. This came about when he had a good spell of playing with the top Dutch team of amateurs, Quick Boys. Kuyt was also part of the amateur club, explaining the reason why Yordi, is influenced by the player who used to be an attacker on the Liverpool club rolls. The Dutch outfit Feyenoord has recently experienced a dry run in regards to winning pieces of silverware. The latest title that Feyenoord won was the Dutch Cup as they overcame FC Utrecht with a final scoreboard of 2-1 when each team faced off on April 26 at the De Kuip stadium in Rotterdam, Netherlands. This was a very recent title win but it’s the only one that Feyenoord has secured in over 6 years. The Dutch club has clearly been struggling to consistently win big titles or European competitions and the captain of the team Dirk Kuyt is hoping that this recent title triumph can push Feyenoord to a revival, to a new era. Dirk Kuyt believes that German manager,Jurgen Klopp is the man to bring success back to Liverpool. He stated that Klopp has achieved great success with his previous clubs and hopefully he will be able to accomplish the same thing in England with Liverpool. Dirk Kuyt said that so far Klopp has already managed some interesting wins. He was referring to the way Liverpool demolished Manchester City and believed that the new manager should be given more time to build his team. He also backed the England side in the Europa league and that they have a good chance to win the trophy in Klopp’s first season. In a recent interview, he has been speaking about his time at the club, the atmosphere at Anfield and during the big games. He recognizes that things have changed a lot ever since he left the club with very few players and staff members remaining on the team. He stated that he still follows the team performance on television whenever he has time. He believes that Klopp is a really charismatic manager that helps to bond the players with the club. If there is someone that can bring success to Liverpool, he stated that it was Jurgen Klopp. Dirk Kuyt does not want to stop playing football anytime soon as the 35 year old Dutch winger stated that he wants to continue for a long time which very impressive for a player of his age who still manages to gets consistent playing time but has not shown any signs of slowing down. The veteran player joined Feyenoord on a year-long contract as he will be remaining with the Dutch coach throughout the 2015-16 season but even when his time with the club arrives, Kuyt wants to continue playing on, whether this may be with a contract renewal or by joining another club.